Hands up who is tired of this whole bb/cc/dd cream carry on? me! I really am. But I couldn’t resist jumping on the band wagon and giving a CC a go. I have use a few bb creams and most of them I don’t rate all that much. The best one I have used is the Shu Uemura stage perfector which I got in their Award Winning set unfortunately they don’t seem to sell the full size online anymore. 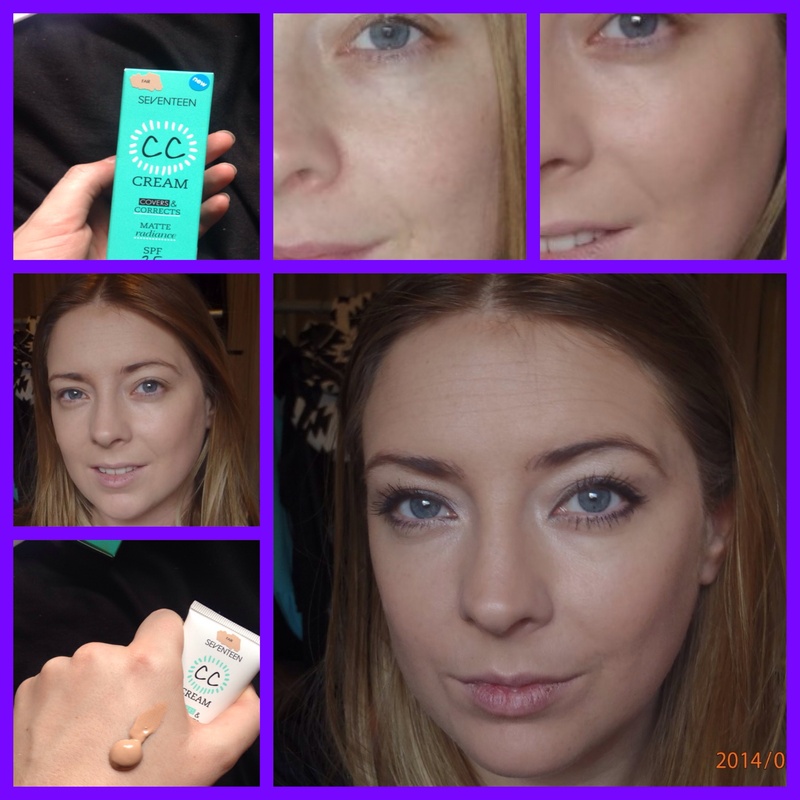 My second favourite is Seventeen BB magic blemish balm. 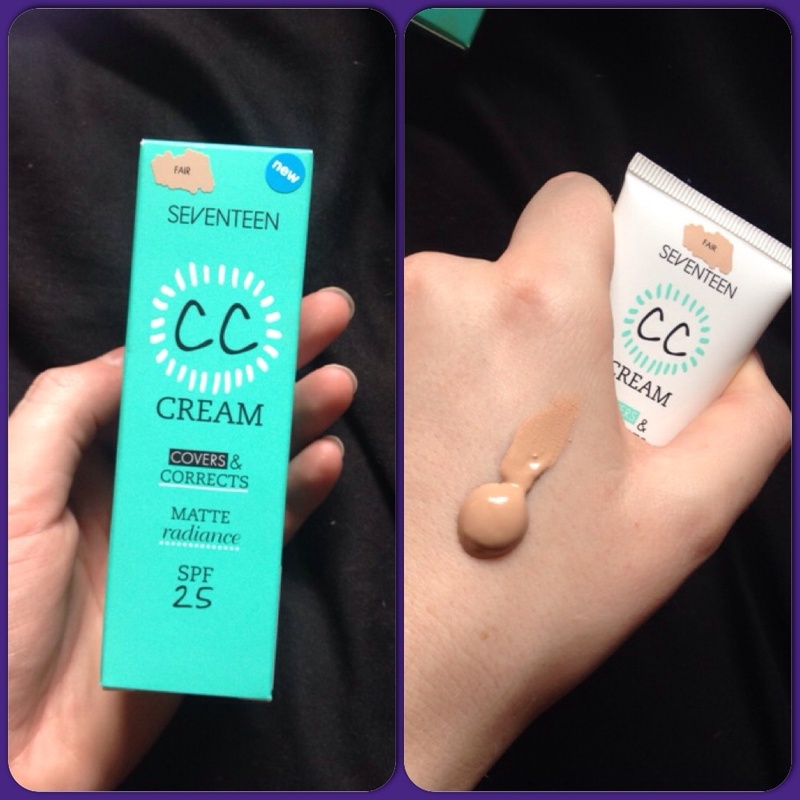 So when it came to me needing a new everyday base I opted to try Seventeen CC Cream – my skin just cant handle Mac everyday and its not in my current budget to replace my YSL touché éclat foundation. I was a little surprised to see shimmer through the product considering it is meant to be a matte finish. I was really surprised with the results. It blended pretty easily and gave a soft finish. Perfect for those days I’m running late or just cant be bothered blend blend blending. For £6.99 I think it gets a massive thumbs up. They could do with making the shade a little lighter but that is about the only gripe I can find and with my blue Scottish skin it’s hardly a surprising one. What do you think? 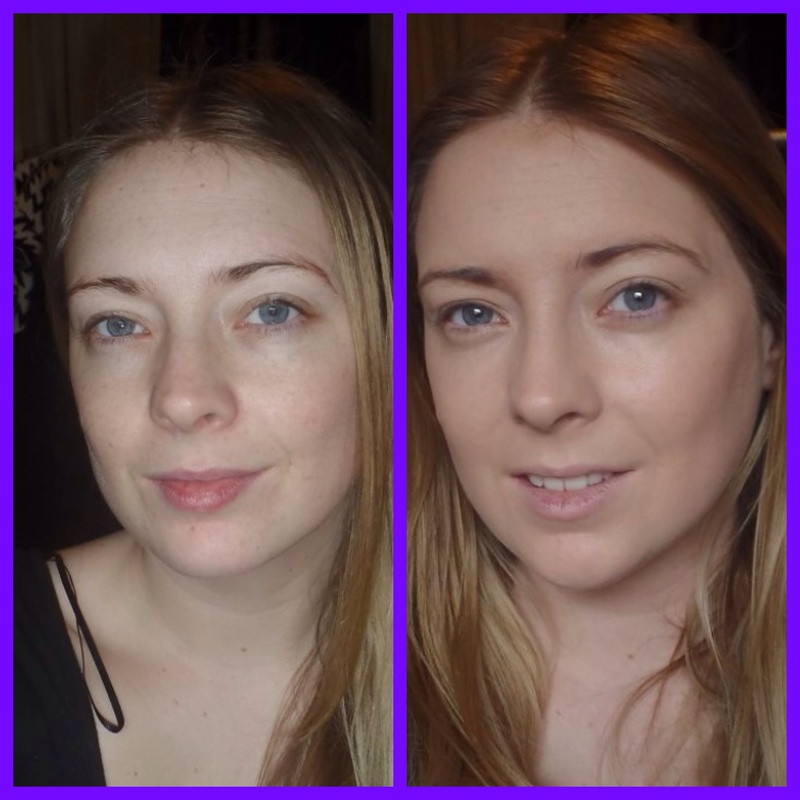 What’s the best BB/CC Cream you have found? I agree with you on the shades. With 17 being a UK brand they could do with putting in a bit more effort to match UK skin tones! We don’t see a lot of sunshine! Have you tried No7? They have a fair few shades. I find the Calico is a good match. Its on the higher end of high street but still cheaper than premium.